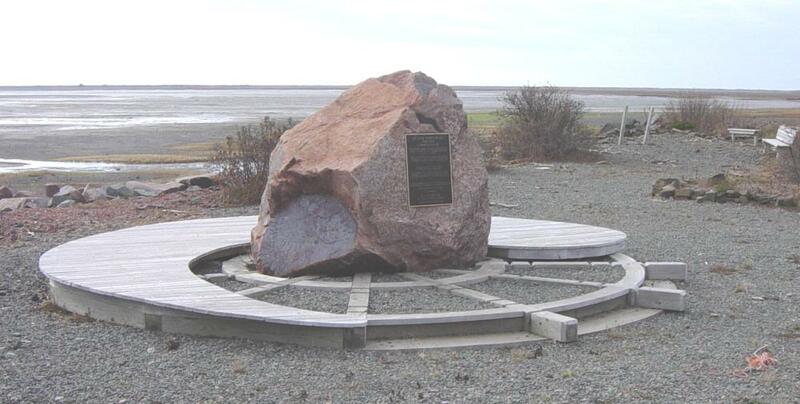 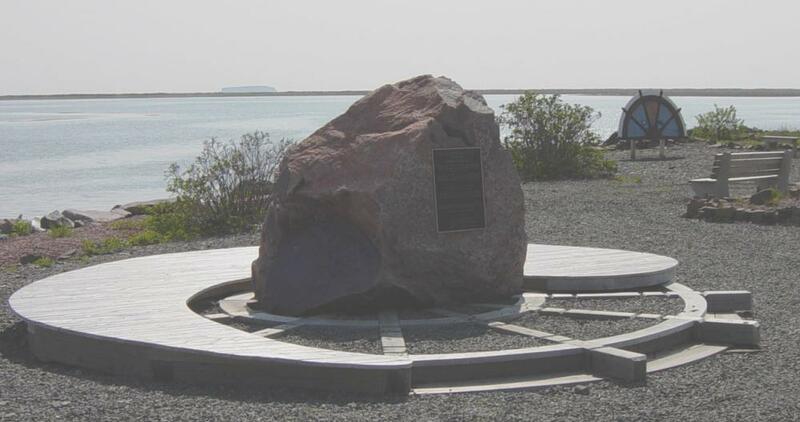 ...hereby dedicate this stone in memory of those who lost their lives at sea. 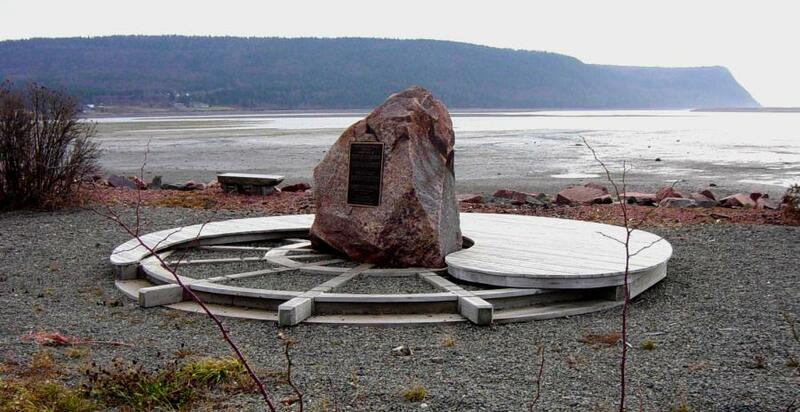 This memorial was the brainstorm of Reverend David Chisling, while he was in this area. 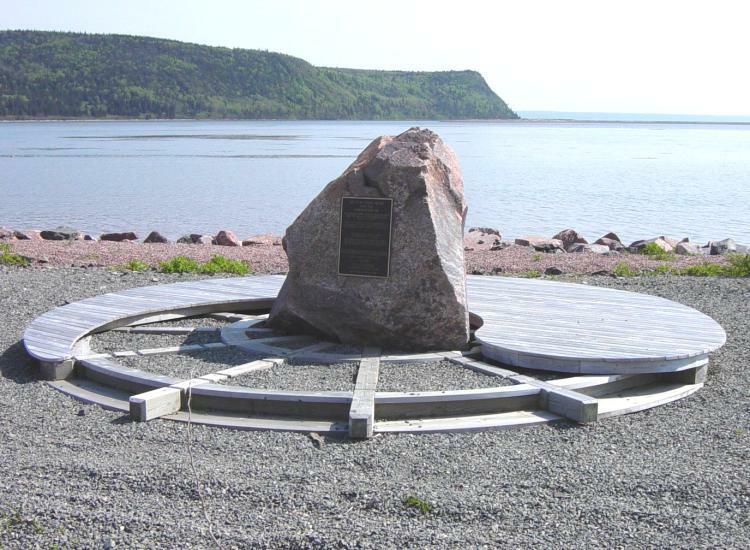 The accomplishment of the project must be credited to the local memorial committee which included Gertrude Fillmore, Terri Nuttal, Maureen Mills and Georgie Lent, Ch. 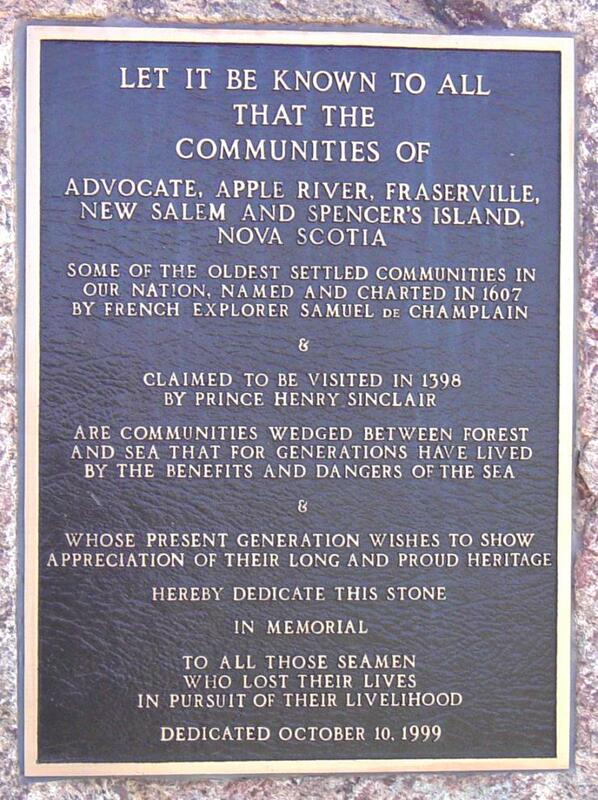 The wording on the inscription was produced by Conrad Byers, distinctive historian of Parrsboro.